Budapest, January 12 (MTI) – The government has decided to reintroduce a system for detaining migrants, the government office chief said on Thursday. 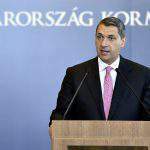 Government scrutiny of applications by Hungary’s municipalities for extra funding connected with ongoing investment projects will be tightened up, János Lázár, the government office chief said. The government will file a criminal complaint against an unidentified perpetrator in connection with the construction of Budapest’s fourth metro line, he said. Migrants who have submitted an application for asylum will be banned from moving around freely on Hungarian soil until their case has been ruled on. Also, rejected applicants will be banned from crossing Hungary’s borders until their have received a binding ruling, János Lázár told a weekly press briefing. The heightened terrorist threat and related security risks are the reason for the decision, he said, adding the view that migration pressure on Hungary was expected to further increase over the course of 2017. 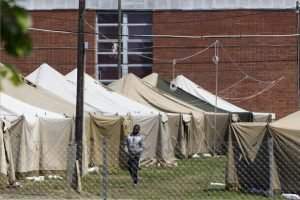 In light of this, the government has tasked the interior minister with preparing the immediate reintroduction of migrant detention, he said. He said the autumn and December summits of the European Commission and Council on the issue had both failed. The situation of those staying already within the EU’s boundaries is also problematic, Lázár said, adding that the number of migrants seeking to cross into Hungary from Serbia was on the rise, and this called for tightening up border protections already in effect. Asked about the issue of a migrant tent camp in Körmend, in western Hungary near the Austrian border, Lázár responded that the reintroduction of detention would resolve the problem since the facility would no longer be needed. He expressed thanks to the town’s leaders and residents for their cooperation so far, which, Lázár said, the government would show appreciation for in the form of development projects. Applications for extra funding of up to 15 percent will be directed to the relevant ministry. In the case of extra funding worth an extra 15-30 percent, the economy minister together with justice professionals will have the right to veto the allocation, János Lázár told. Applications for over 30 percent of extra funding will be rejected outright, he said. Meanwhile, Lázár said the government aims to pay out the total amount of 9,000 billion forints (EUR 29.3bn) available to Hungary in EU development funding by the end of March 2018. Further, the government plans to invite, by the end of March this year, applications for EU funds available until 2020, with decisions expected to be made no later than the end of this year, he said. This year’s plan is to transfer EU funds of at least 2,200 billion forints (EUR 7.1bn) or possibly up to 2,700 billion forints, contributing significantly to projected economic growth of at least 4 percent, he added. Lázár said the government had authorised the Prime Minister’s Office to continue a review of background institutions and also review state-run companies. 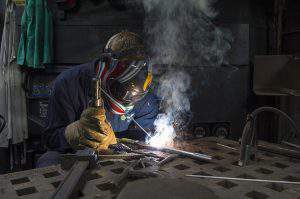 The transformation and rationalisation of state-run companies could take place this year, he added. He said Economy Minister Mihály Varga had briefed the cabinet by about a new strategy for the market of government securities. The target remains the reduction of the public debt to 65 percent of GDP by 2020 but Hungary’s current economic performance means that financing can be cheaper, he said. Hungarians finance 40 percent of the public debt and foreign creditors finance another 40 percent, which means the country is less dependent on them than before, Lázár said. A total 270 billion forints projected to be collected from land auctions in 2016 and 2017 will also be used to reduce the public debt, he added. 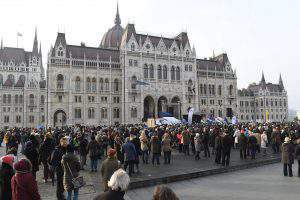 Lázár also said that Prime Minister Viktor Orbán will visit Szeged, in southern Hungary, on Jan. 30 and meet Mayor László Botka of the opposition Socialists. The government has promised to provide support for an industrial park to be built on 200 hectares in Szeged, and the city has also received special government support for the implementation of the Extreme Light Infrastructure (ELI) project. In response to a question about the further development of the M0 motorway around Budapest, he said the route is planned to be finalised this year and a public procurement tender will be invited in the second half of the year, so construction could start in 2018 and be competed in 2022. Hungary has sufficient energy supplies and will meet demand even in “the most extreme” weather conditions, Lázár told. At the beginning of the winter season, the government made arrangements to increase gas reserves by 13 percent, he said. The country has sufficient supply of electricity too, Lázár added. The government has extended help to all municipalities to ensure services are provided for the homeless and needy, the minister said. He also urged homeless people to seek accommodation at the nearest shelter. Lázár noted that the European Union’s anti-fraud organisation (OLAF) had concluded an investigation into the metro project. He also insisted that “an international leftist crime” had been committed. Lázár said the alleged criminal activities including fraud, corruption, cartelling and abuse of authority could have been committed by Budapest’s former Socialist and Free Democrat managers. The minister said Hungary faces fines totalling 76.6 billion forints (EUR 249m) imposed by the European Commission due to the irregularities identified. He said he shared Budapest mayor István Tarlós’s position that any fine should be borne by the perpetrators.